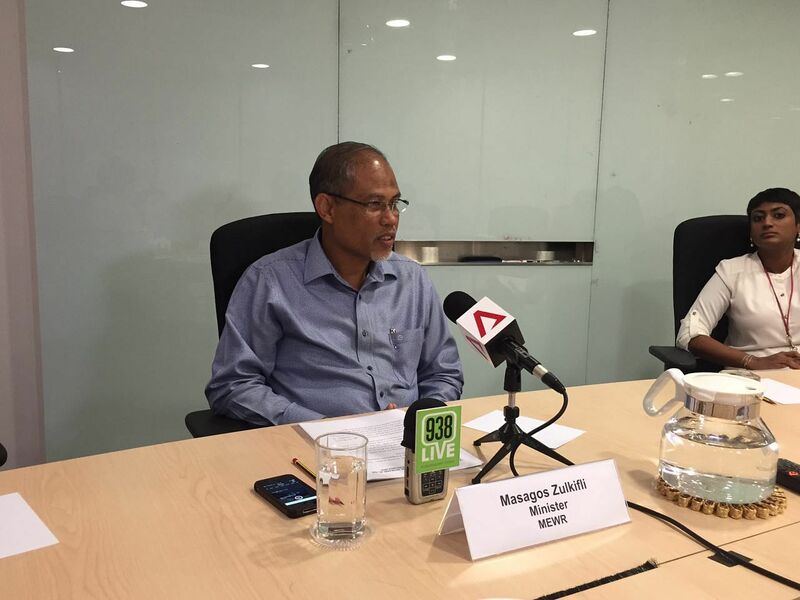 SINGAPORE - Environment and Water Resources Minister Masagos Zulkifli has urged his South-east Asian peers to combat the haze on three different levels as the region works towards a haze-free vision by 2020. Speaking at a press briefing on the 11th meeting of the Conference of the Parties to the Asean Agreement on Transboundary Haze Pollution on Friday (Oct 30) morning, Mr Masagos noted how the current haze situation has been the worst on record, surpassing similar crises in 1997 and 2013. At the Asean level, he proposed peatland management in Indonesia and stepping up of efforts to stop the issuing of licences for peatland concessions. He also said Asean should activate regional assets to douse the fires quickly, noting that Singapore troops had put out 50 hotspots in affected areas in Indonesia. On the bilateral level, he expressed hope that neighbouring countries could work better with Indonesia on tackling the crisis. He said he hoped to meet his Indonesian counterpart to discuss how both sides can work together. Lastly, Mr Masagos stressed how every country should have a national action plan in place. Singapore, for instance, has implemented the Transboundary Haze Pollution Act that will take rogue companies to task. To date, Singapore has served notice on seven such companies. Environment ministers from Asean countries attended the meeting on transboundary haze pollution in Hanoi, Vietnam on Oct 29. In a joint press release, they expressed concern over the "unprecedented severity" and geographical spread of the haze, while expressing their sympathies to the millions of people affected by it. They noted that the ongoing El Nino weather phenomenon was likely to extend into next year, with hot spot activities likely to increase in the northern Asean region due to the onset of the traditional dry season in November and December. Pledging to remain vigilant and implement haze preventive measures, the ministers also reaffirmed their commitment to the Transbounday Haze Pollution Act and agreed to step up cooperation between the countries.